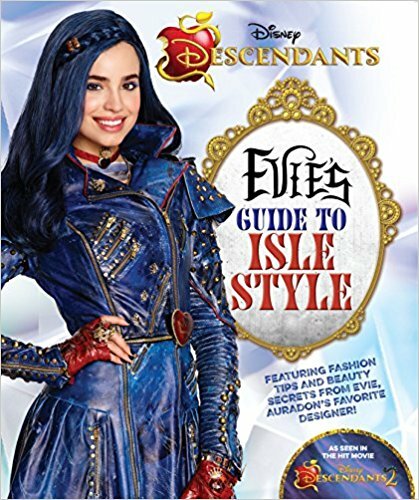 If you have a kid who likes the Disney Channel Original Movie Descendants and is also interested in fashion, you might be interested in a book I got to review - Disney Descendants Evie's Guide to Isle Style, available on both Amazon (http://amzn.to/2nsOIGZ) and Barnes & Noble (http://bit.ly/2E6zocM). 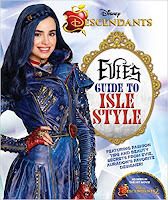 One thing that immediately struck me was that this book tries to have something in it for every kid - there are styles for both girls and boys (which was great, because one of my daughters prefers boy styles), and there are fashions for a variety of style types. Even my older daughter isn't super girly, but she found a lot that she liked - girls who like dressing even more feminine will find things that suit them as well. It doesn't just focus on clothes, but also includes hair tips and makeup regimens. My girls are a little young for makeup (and even I don't wear it), but my older one loved trying out some of the hair styles before we cut her hair (and there are even some that work with her new shorter bob).